PHARM Podcast 77 Ketamine MythBusters Part 3 – Are you mad enough? A little bit of this and a little bit of that..
Tonight on the podcast , we bust another long term medical myth. This is Part 3 of the Ketamine Mythbusters series . This episode , we cover the neuropsychiatric effects of ketamine. Does it cause dangerous psychosis? How useful is it in the agitated patient? How common is the so called emergence delirium? What can you do if it happens? What can you do to prevent it from happening? It is listed that SCHIZOPHRENIA IS AN ABSOLUTE CONTRAINDICATION TO KETAMINE. This is a medical myth. Like many myths it was borne out of some truth but like a lot of things in medicine and life, the truth gets distorted. Bit like ketamine and head injuries! Early research(1,2) in patients with schizophrenia and followup studies clearly show that ketamine in subanaesthetic doses , produces increase in positive symptoms of schizophrenia ( hallucinations mainly) TRANSIENTLY. Several case reports , case series and experimental studies(3-7) from the psychiatric and anaesthetic literature have challenged this notion that ketamine worsens schizophrenia course. 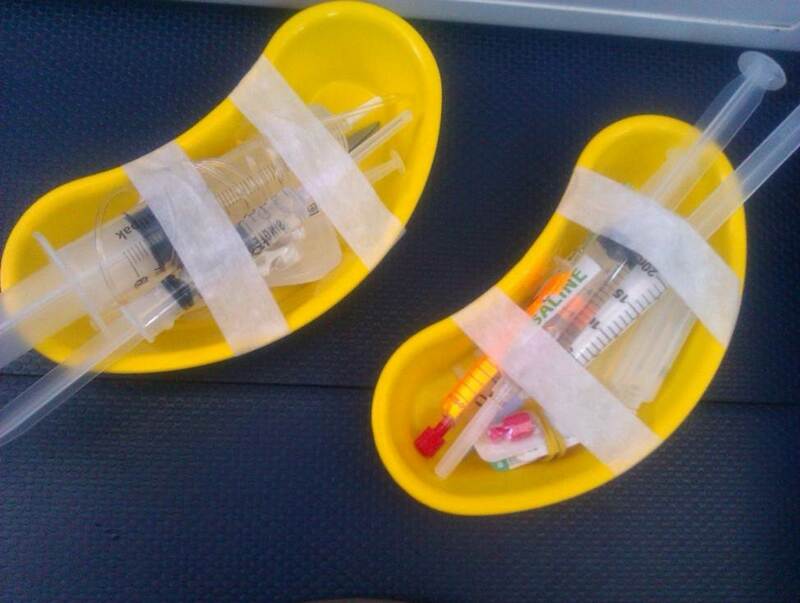 Moreover my aeromedical retrieval work in the last 6 years has found many cases of patients with schizophrenia in which I have used ketamine sedation in a wide dosing range ( 0.5mg/kg – 1.5mg/kg) with excellent results and my communication with our local psychiatrists has been positive in this regard. And remember IV ketamine is not long lasting. It has a temporary effect so any increase in hallucinations/delirium is not going to last weeks or months. This is well described in psychopharmacologic literature. In this study, postoperative confusion occurred in 5 (14%) of schizophrenic patients (Group A) with small-dose ketamine and in 8 (23%) of schizophrenic patients (Group B) without ketamine. Hallucinations occurred in 1 (3%) of Group A and in 2 (6%). There was no significant difference in incidence of postoperative hallucinations between Groups A and B. So consider that the absolute contraindication of ketamine to patients with schizophrenia is indeed a medical myth. It is a RELATIVE CONTRAINDICATION NOT ABSOLUTE. I would rather have a patient be alive and a bit crazier than..be dead. Moreover there is a rapidly growing body of psychiatric literature supporting the use of ketamine in refractory depressive illnesses especially with high suicidal ideation. This clearly demonstrates ketamine’s role in a positive manner in some neuropsychiatric conditions . Okay but what about emergence delirium with ketamine? Sure it happens. In fact my very first use of ketamine in an emergency patient produced florid delirium with marked hallucinations. The patient was in severe pain , the ketamine fixed the pain but gave her the delirium. What did I do? 1mg Midazolam resolved the delirium quickly and the patient had no recall of the adverse event. Scott Weingart talked about ketamine and how to reduce/manage delirium with it on one of his earliest podcasts ever! This is a useful video showing a marked ketamine delirium at a prehospital scene. 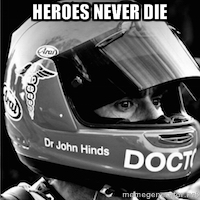 Attribution is to BBC Trauma series with Dr Dan Ellis as the prehospital doctor featured. It used to be said that you need not give adjunctive sedation with ketamine. I dont hold this principle anymore. It is true that most patients will not have a marked delirium with ketamine. But some do. I give adjunctive sedation as routine now with ketamine sedations. Midazolam or droperidol or haloperidol..even some propofol. They all work to reduce delirium and unpleasant hallucinations(8, 14-16). Also your technique helps. Titration and quiet atmosphere help a lot. Reassurance and education before , during and after ketamine all help! Paediatric patients seem to have less delirium than adults. My experience and the small amount of published literature is that even in psychotic conditions including schizophrenia, ketamine can be well tolerated at low dose or when combined with adjunctive sedative agents. It remains though generally accepted contraindication in psychotic conditions. Effects of ketamine in normal and schizophrenic volunteers. Uneventful total intravenous anaesthesia with ketamine for schizophrenic surgical patients. Preliminary evaluation of clinical outcome and safety of ketamine as an anesthetic for electroconvulsive therapy in schizophrenia. Does Haloperidol Prophylaxis Reduce Ketamine-Induced Emergence Delirium in Children? Replication of ketamine’s antidepressant efficacy in bipolar depression: a randomized controlled add-on trial. What is the nature of the emergence phenomenon when using intravenous or intramuscular ketamine for paediatric procedural sedation? Successful management of excited delirium syndrome with prehospital ketamine: two case examples. Part of my research work has been around introducing ketamine for Paramedics so we’ve thoroughly searched the medical literature and adverse effect database with medicine regulators for UK, AU, NZ and Canada for the last fifty years. Hallucinations or dizziness are the most common reported adverse reaction however it is much, much lower than people perceive. Hallucinations in particular appear more frequent in sub-optimal doses. 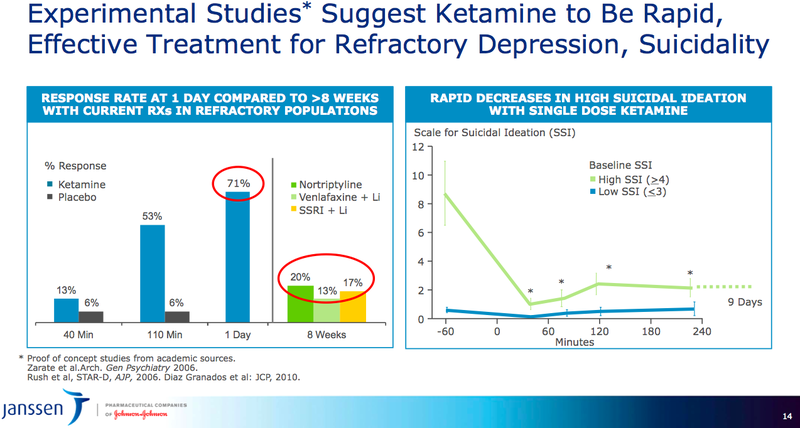 So despite a somewhat notorious reputation ketamine is a very safe medicine with an extremely desirable risk profile and low instances of side effects that produces profound analgesia and sedation at sufficient doses; patients needing ketamine will be in significant pain that is often not managed by opioids alone. Now some people might want to take the approach of adding midazolam to morphine or fentanyl (or remifentanil or whatever) however I am not convinced there is a continued role for adding midazolam to an opioid vs. using ketamine. Midazolam is not an analgesic and while it will reduce (or eliminate) skeletal muscle spasm which will help to reduce the patients pain as well as providing some anxiolytic effect it does not treat the pain in and of itself as it possesses no analgesic properties. You can change the oil in your car yourself and it might work, lets be a bit more generous, it SHOULD work okay just like the midazolam should enable you to get the guy out of the car and onto the stretcher, or you could take your car to the professional and do it properly; just like y’all can give some ketamine and the guy with his horribly angulated femurs crushed under the dashboard will be much better off. Australasia (and Europe) use ketamine very aggressively (liberally) pre hospital without prophylactic midazolam whereas it is almost non existent in North America and it is a great shame. Whenever I had talked to colleagues about it the most common thing I hear is a terrible, paralysing fear of “hallucinations”. New Zealand has reported > 2,500 administrations in the hands of Paramedics (non-Doctors) with no adverse reactions; only minor psychotropic side effects. The Queensland Ambulance Service in Australia has self-reported more than 3,000 administrations with again, no major adverse effects. The positive analgesic/amnestic effects and cardiovascular stability of ketamine in pre-hospital use so far outweigh any risk of hallucination or “emergence reaction” that these risks pale into insignificance! Although not the most quality evidence; I have never seen a bad reaction to ketamine administration; if people get a bit screamy / shouty / lash’y out’y from their dreams then give them some midazolam! As our friend Rob Simpson of AmboFOAM has said ad nauseum; ketamine is the best thing for anything, ever. I am waiting for a myth buster “ketamine and epilepsy”. Thank you referring to my work. I am honored. Ketamine unpredictability is anathema to anesthesiologists. Incrementally titrating propofol to BIS <75 with baseline EMG (i.e. https://www.youtube.com/watch?v=GlQ3Do3b3_I) provides numerically reproducible, predictable ketamine use. Induction of sedation is a side effect of creating a stable level of cerebral propofol to shield the patient from ketamine side effects – at least for my last ~4,000 patients since 12/1998. Prior to BIS/EMG, I relied only on loss of verbal response/loss of lid reflex. Adequate but hardly scientific practice. For those who eschew BIS use, consider trending EMG as a secondary trace & responding to EMG spikes as if they were HR or BP changes. BIS/EMG makes the device extremely useful as a real time monitor.